Empowerment Essence support groups are ongoing eight-week group sessions that offer judgment free, safe, confidential opportunities for survivors and attempter survivors. These groups are help separately as the needs for healing are different. We also offer bullying groups to help those who have been bullied or may be going through bullying now. These groups provide opportunities for participants to connect and relate to other peers who may share similar experiences. The purpose of all groups is healing, support and plans to ensure the safety, understanding and empowerment to live life. Tools and life skills will help coping, recovery and a fresh start. The goal of all groups is to ensure participants stay safe from a future suicide attempts and heal after the death of a loved one. Bullying Group – Provides supportive image building and self-esteem building. This group allows participants to freely talk about their experience. We will also provide tools and tips on living a bully free life. Those who are also recovering from being the bully are also welcome to attend the I am a bully workshop held once a month. Survivor Group – Survivors are able to talk freely about the feelings and emotions they are experiencing resulting from a suicide. These sessions are to help the healing process. The group offers structured grief support and work. Each week a new topic will be reviewed and talked about. Reading materials will also be provided for follow up discussions in the next sessions. As it is hard to think of moving forward, it’s important that survivors learn how to live the new normal life after a loss. 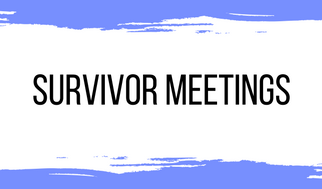 Attempter Survivor Group – These group sessions are for those who have attempted suicide and allow one the opportunity to freely express the feelings, trauma, mental or emotional pain that lead up to their suicide attempt. Participants will also learn coping life skills to live through real life situations and resources for help during difficult life experiences.